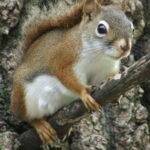 The most common squirrels in Michigan are the gray squirrel, red squirrel, eastern fox squirrel, and the flying squirrel. 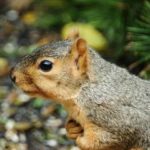 All of these squirrels are aerialists who spend much of their time in trees, attics, and other high places; but there are important differences between them as noted on this page. 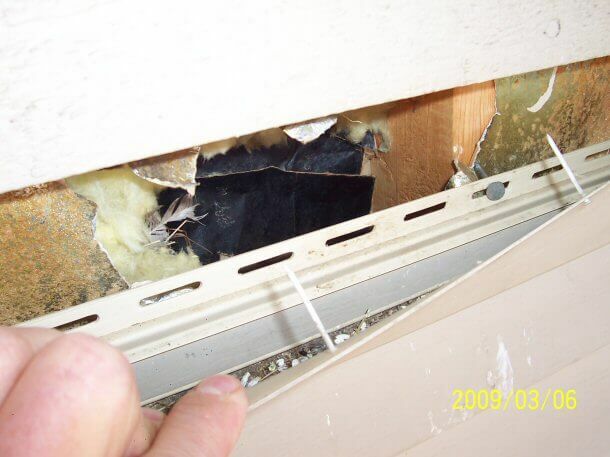 The squirrel can become a nuisance when it chews through the facia board or roof and gains access into your soffit and attic. 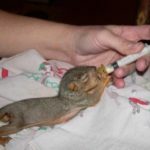 If you think you have a squirrel in your attic, think again. You have more than one, usually 4 or 5 or more. 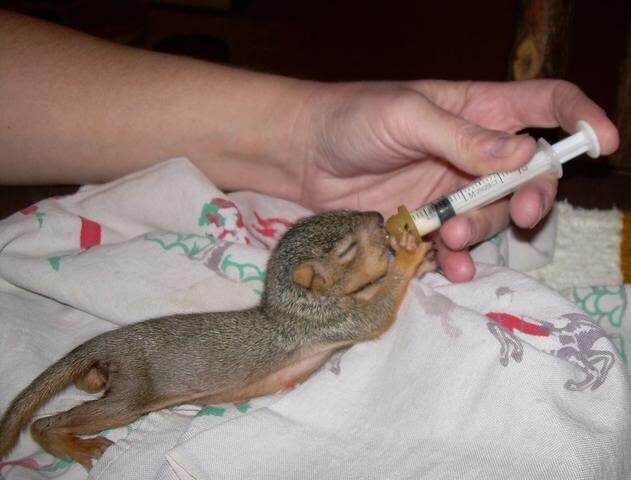 Squirrels are very social animals and will stay as a family unit. 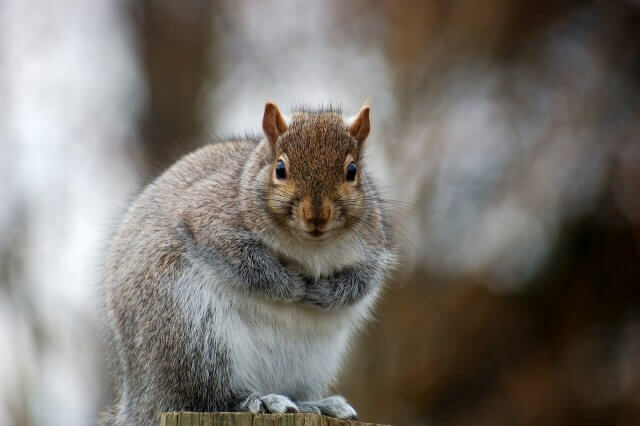 If you try and resolve the squirrel problem yourself, you may end up enclosing a squirrel or squirrels in your attic which will cause major damage as the enclosed squirrel or squirrels will chew a hole to get out. 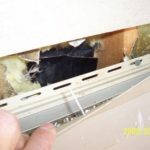 If one or more of the squirrel family members are outside, they will assist the enclosed squirrel or squirrels in chewing the hole. 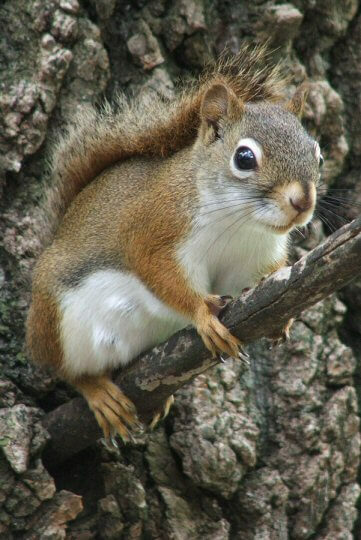 The red squirrel lives throughout the state. 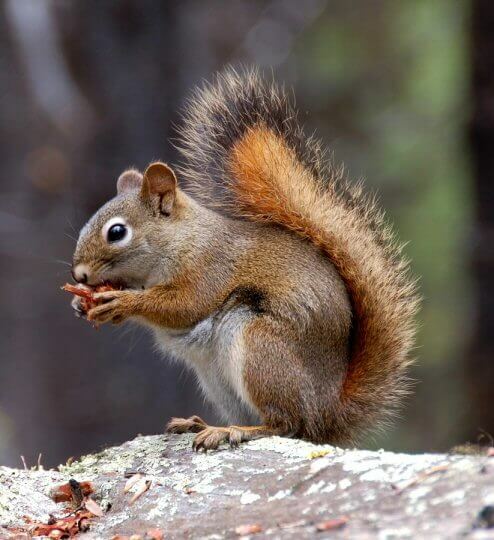 Red squirrels are found in a variety of forested habitats, including coniferous, deciduous, and mixed forests. They are also commonly found in suburban settings where there are large stands of mature trees. Red squirrels are also fairly aggressive small animals and will defend themselves if cornered. 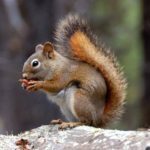 Red squirrels can severely damage young trees and crops in storage. 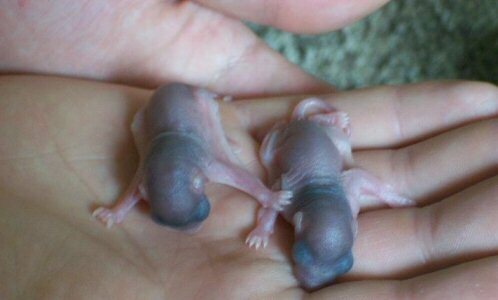 They may also gnaw on many household items and can become a nuisance if they nest in homes. 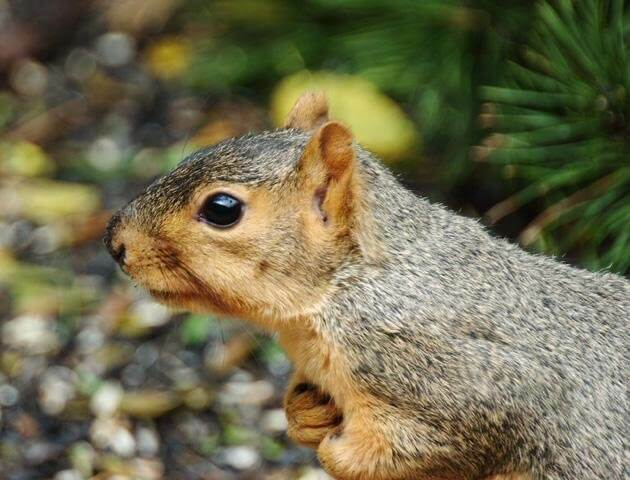 Red squirrels have keen senses of smell, sight, and hearing. They are very vocal and loudly scold intruders in their home range. Vocalizations consist of rattles, screeches, growls, buzzes, and chirps. 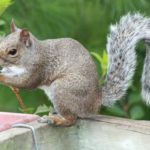 Gray squirrels are bushy tailed rodents with a mixture of brown, black, and white fur which when viewed from a distance blend together to look gray. 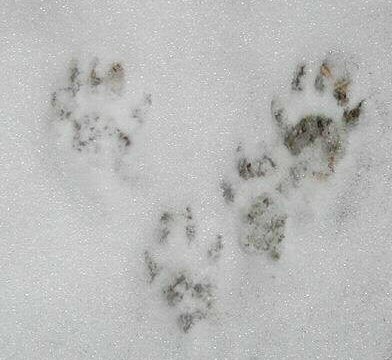 They are found throughout Michigan in mixed hardwood forests as well as in suburban and urban areas. They prefer forests with mature, nut producing trees such as oak and walnut. 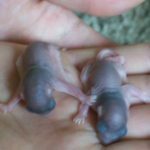 Gray squirrels will use old woodpecker holes or natural cavities as dens to live in and raise young. 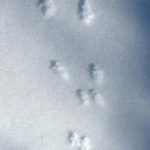 They will also build large nests composed of leaves and twigs. 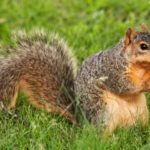 Gray squirrels have adjusted well to manmade changes to the landscape and are a familiar animal in neighborhoods and city parks. 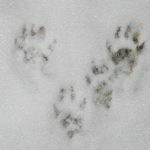 They are considered very destructive to property. 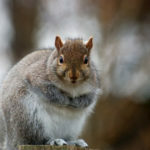 Eastern gray squirrels communicate among themselves with a variety of vocalizations and postures, such as tail flicking. 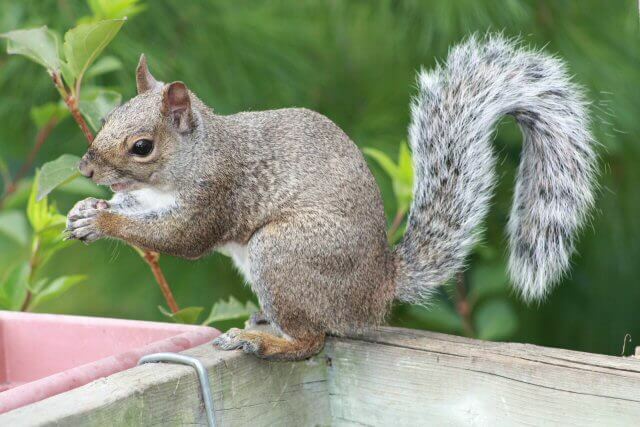 The conspicuous bushy tail of the gray squirrel has many uses. 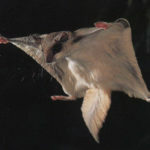 It is used for balance, a blanket, an umbrella, parachute, and communication. 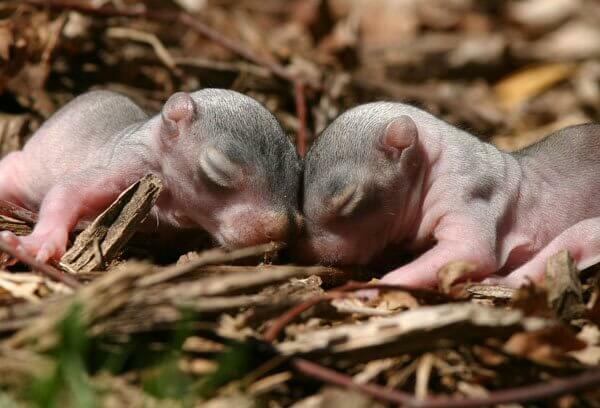 Eastern gray squirrels are also hosts for parasites such as ticks, fleas, lice, and roundworms. 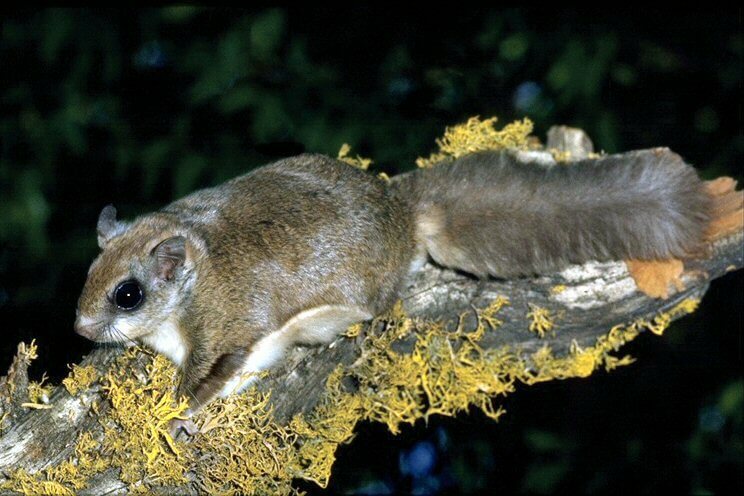 Fox squirrels are a medium-sized tree squirrel. They are often considered a nuisance species due to their raiding of bird feeders and gardens. 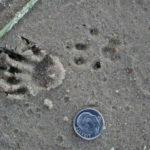 They are also responsible for some damage to corn crops. They often use electrical lines as routes of travel, and this can cause power outages. 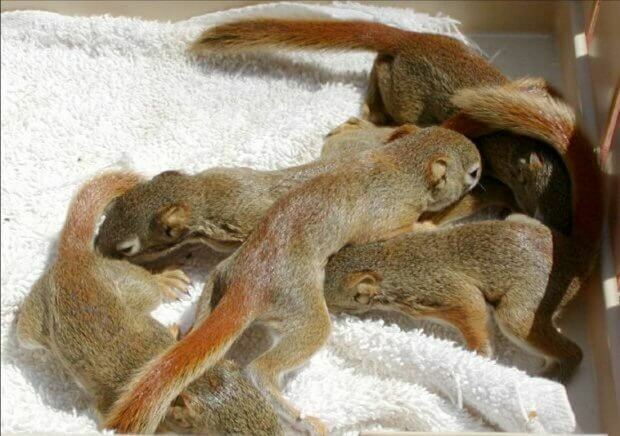 Fox squirrels will threaten one another by standing upright with their tail over their back and flicking it. 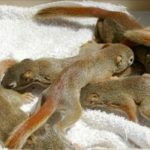 At one and a half to two and a half pounds, the fox squirrel is heavier than the gray and is also longer at 10 to 15 inches (minus the tail). 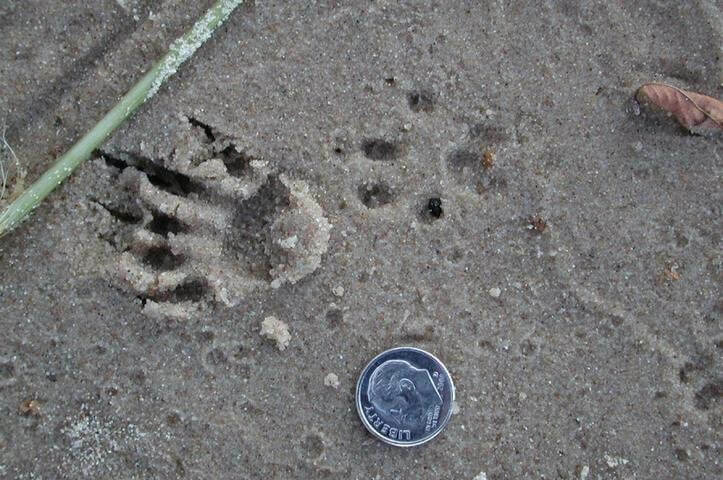 Fox squirrels prefer small woodlots of mature trees throughout the Lower Peninsula. Those that reside in southern Lower Michigan customarily do so in city parks and suburbs with mature trees. 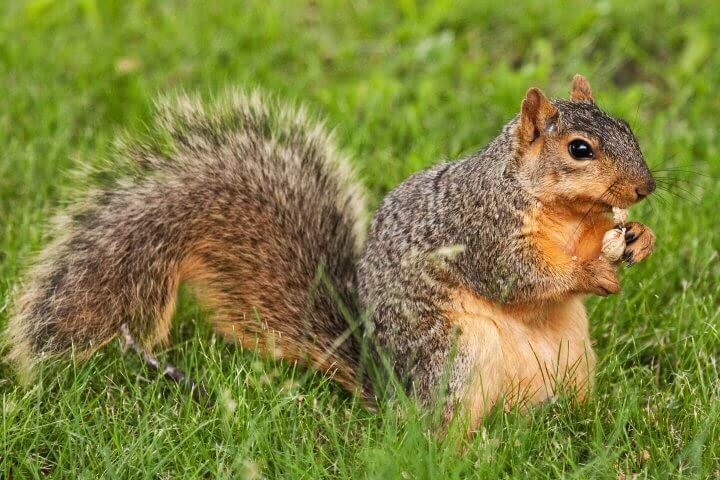 As with other squirrels, they can produce great damage to property, crops and dwellings. Breeding season: December to February and May to June. – Number of offspring: 1 to 6; avg. 3 – Gestation period: 44 days (average) – Average lifespan: less than one year. 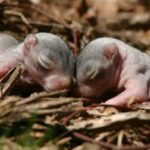 Most Fox Squirrels die before they reach adulthood. 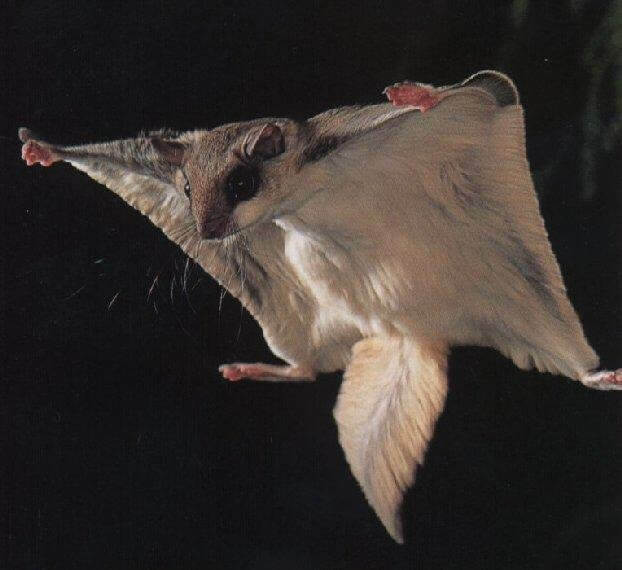 Few people have seen a flying squirrel because they are active only at night. They are more common than many people think, especially in southern Michigan, and can be attracted to bird feeders. 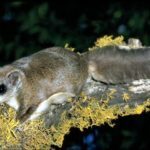 Northern Flying Squirrels are clumsy on the ground, but can glide gracefully from tree to tree. They sometimes share nests and may live in groups of up to 8 adults and juveniles. 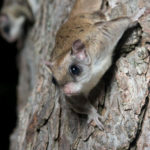 Northern flying squirrels sometimes select den sites in houses and barns, which is undesireable due to the noisy activity at night and the litter from nests and seed caches. 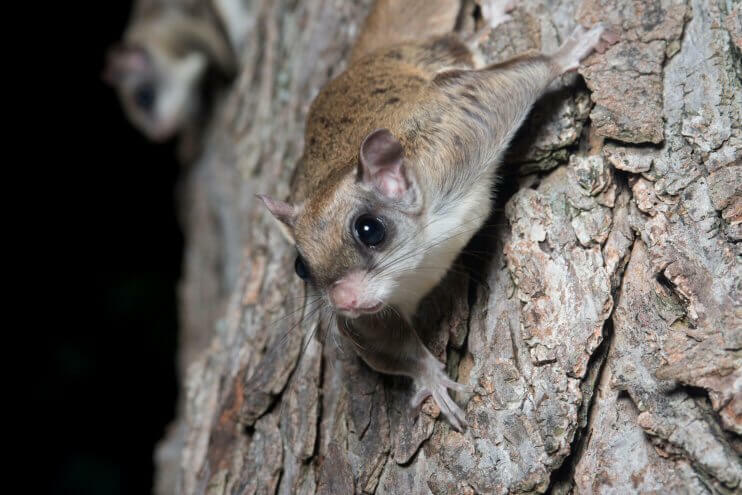 Northern flying squirrels emit a soft low chirp, and they cluck when distressed. They also use scent and touch to communicate with one another.